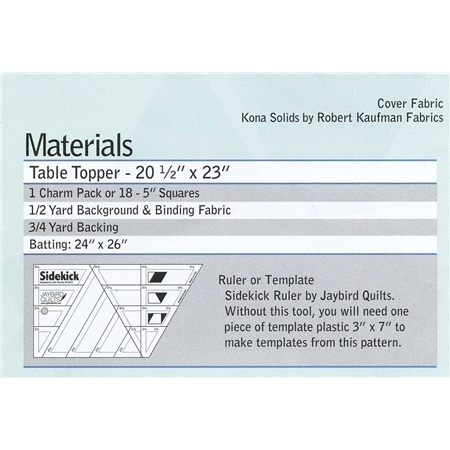 This great little table topper is a wonderful way to add a splash of color anywhere! Pattern includes all instructions for the 20½" x 23" project. Add the Sidekick Ruler JBQ 202 below for ease in creating this design; otherwise a 3" x 7" piece of template plastic will be necessary.